The Kingdom of Bhutan is a landlocked country in Asia and the smallest state located entirely within the Himalaya mountain range. Located in the Eastern Himalayas, it is bordered by China in the north and India in the south. Bhutan is geopolitically in South Asia and is the region's second least populous nation after the Maldives. Thimphu is its capital and largest city, while Phuntsholing is its financial center. 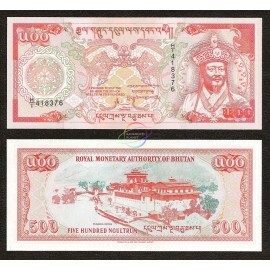 Bhutan There are 2 products.